Isabel Oyuela-Bonzani grew up in Lexington, Kentucky after having lived in many places – from the Amazon rain forest to the Steel Mill towns surrounding Pittsburgh. She graduated with a Bachelors of Architecture and minor in Anthropology from Cornell University in 2016. In the fall of 2017 Isabel was a Visiting Critic for Cornell AAP where she taught the design studio and electives for the inauguration of the Foundations in Architecture Program in Rome. Through this position she led the new program while teaching the design studio and electives. Previously as a Teaching Associate she had taught the Design I & II Studios for Cornell’s Bachelor of Architecture program. Her research focuses on architecture’s role within globalization and the development of ‘place’ in relation to modernity, tourism, and varying notions of history. She has conducted research on the subject in Peru, Colombia, Thailand, and China. Currently Isabel is an Associate architect at Handel Architects in New York City. In her conversation with Julia Gamolina, Isabel talks about creating an architecture curriculum, finding herself in unfamiliar territory, and choosing where she works wisely, advising young architects to pay attention to the people and things that they surround themselves with. IOB: To give you some background, both of my parents have Doctorates in Anthropology and Archaeology, and had just started their teaching careers as I was born. Their teaching contracts brought us to all kinds of places – from snowy Calgary in Canada to the jungles of the Amazon, living with the Tikuna indigenous group. I was very young when we were living in the Amazon, but that’s where I had my first memories and experiences as a person cognizant of the world around them – memories that could almost come from the imagination of Kipling [laughs]. 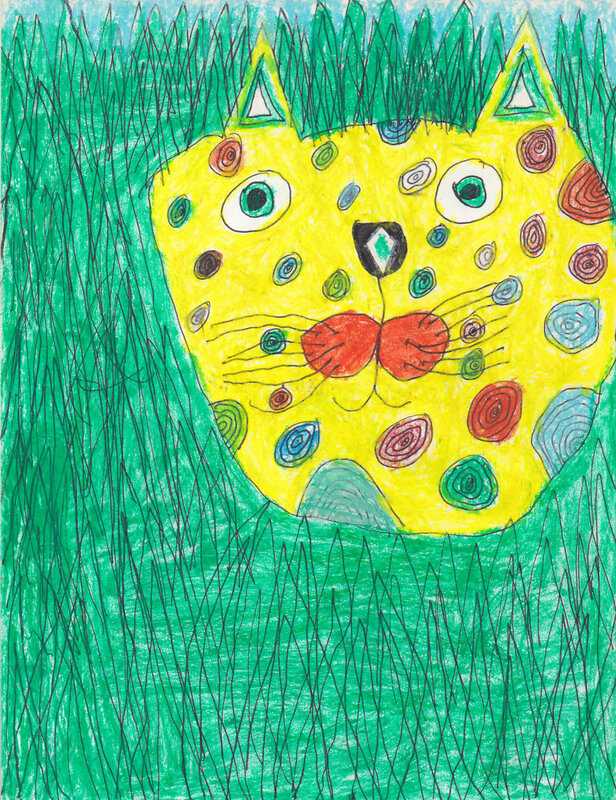 When we finally moved back to the United States in 1999, to stay connected to the places I had lived and also to my grandmother, a cartographer and artist, I began to draw and paint images of spotted jaguars, colorful butterflies, and emerald green landscapes. That led me to wanting to be an artist for a while, but as we continued moving I started to realize the importance of place on people. When I graduated from 8th grade, my father took me to Berlin and I realized that through architecture, I could create these places. That trip solidified my interest and a few years later I asked my Mom to send me to Cornell’s Pre-college Summer program in Architecture. Architecture school taught me a new way of seeing and changed how I understood everything, including myself. Through my thesis, my advisors Vince Mulcahy and the late Arthur Ovaska really let me express what I saw and had learned over all those years, which was that I wanted to create the places that people live in, explore, and make memories in. You’re two years out of school – when you were graduating, what did you want your career to look like? I knew for a long time that I’d like to start my own practice so I thought I would follow the regular path – get licensed and become an architect. What ended up happening is that during thesis, I looked around at all of my friends, and saw how differently we all approached and managed our design process based on who our professors had been. I wanted to give back to the program and the future students, because I myself had gotten so much out of it, so I decided to apply for the Teaching Associate position at Cornell with the hopes of providing students with an equally strong education. You started by teaching a summer studio, and then the year-long First Year design studios – tell me about these experiences. I was lucky to teach the same architecture summer courses which I myself had gone through as a high schooler. In this program, studio is five days a week for six weeks and is very fast paced - often it felt like a sprint lesson on how to teach design. That, combined with the energy and enthusiasm of high school students, allowed for a lot of experimentation. In the school year, the schedule was more reasonable but with higher stakes and expectations for the students. Teaching the B.Arch’s was so much fun because of the intensity from the students and the great dynamics between the four other TA’s and myself. The students and my colleagues provided a very special and supportive environment, both for students and ourselves as new teachers, to learn in. How did you then find yourself leading the Foundations in Architecture program in Rome? About halfway through my first year teaching, Cornell AAP was starting this brand new program in Rome for college juniors who have an interest in architecture, but have no prior exposure to or experience with it. On a practical level, they needed someone who had been to Rome before to lead the program. Also, Cornell saw the new program as a good opportunity to introduce someone to teaching and get them more experience through it. The students I had in the fall and spring for Design I and Design II produced really great work, so I think I proved myself as a professor who could work with and teach all kinds of people. That’s what you need to be able to do, and I was offered the position to teach and lead the inaugural semester of the program. To start I was given the titles of the three courses in the program - Portfolio Development, Field Studies, and Foundations in Architecture Design Studio - with a brief description for each! With support and confidence from faculty, especially Mark Cruvellier who was Department Chair at the time, I started to construct the curriculum. How do you go about constructing a curriculum? I looked back to what I had learned from my professors as I had an amazing foundation in my first three years of architecture school. I asked myself, “What kind of foundation in architecture will my courses provide?” As architecture students, you have to learn so much about space, scale, structure, context, and you also need fundamental skills in drawing, model-making, and other representations of projects and ideas. I knew though they needed to be taught even more than that and three ideas emerged which greatly influenced the structure of the studio and program. The first was that inspiration for design can be anywhere, in a metronome, or a bike derailleur, and once you see that, you’re able to approach any problem. The second is the significance of concept - when you’re faced with many different sources of information and challenges you have to be able to understand and distill what’s essential. The third, which is a personal favorite since I did a minor in Anthropology, is the importance of context, which for me means responding to the buildings, the streets, the site, the environment around your building, but also the social context and trying to expand your understanding of a place and the people of a place. I built my curriculum around these lessons knowing that they will be helpful to everyone, regardless of whether or not they study architecture or become architects. What did you learn by teaching in general? I learned the importance of listening and communication. Listening isn’t about literally digesting everything they’re saying, but understanding what they’re uniquely interested in on a deeper level by looking at their work against its own merits rather than comparing it against other things or the projects you have in your own mind. If you can learn how to really listen to a student, you can get them excited and propel them forward to make great work. In terms of communication, word choice is crucial. There was one time where I asked a few students to design a space with “openings” and others, a space with “windows”. Just that simple word change to windows proved to automatically limit their creativity because there are so many restrictive connotations. What did you learn specifically by leading this program in Rome? I learned that age doesn’t always matter. Age gives you wisdom and experience, but it does not determine your character or what you can achieve. If you can get the opportunity to move past the connotations and stereotypes associated with age, you can open up opportunities for friendships and insights that you didn’t expect. I say this because the faculty I was teaching alongside were at least twenty years my seniors – all of them. At the beginning, I felt intimidated and they were probably confused by my presence. But once we led field trips around Italy together, their perception of what I could achieve as a young professor changed. We got to know each other well during those experiences - George and Sabina Hascup, Jeffrey Blanchard, Jan Gadeyne, Davide Marchetti, Luca Padroni, Maria Luisa Palumbo, and Alberto Iacovoni – I got to teach alongside all of them, and they all became my friends at the end of it. Not just colleagues – true friends! I was extremely lucky. 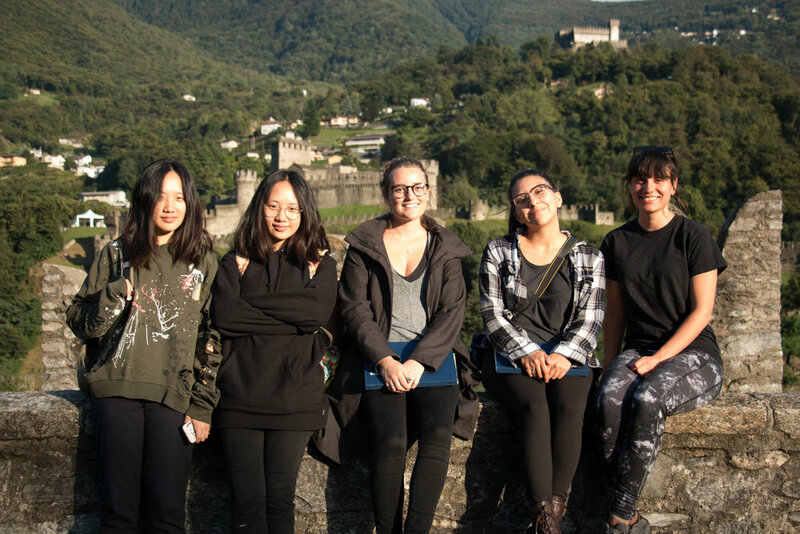 Isabel with her Foundation in Architecture students on a field trip to visit Aurelio Galfetti's restoration/intervention at Castelgrande in Bellinzona, Switzerland. After this semester in Rome, why did you then decide to move to New York and begin to practice architecture at Handel? Teaching, and especially teaching in Rome, was a dream. I loved it so much that some nights I couldn’t fall asleep because I was too excited for the next day [laughs]. However, I wasn’t the one designing - I didn’t address the problems myself and I didn’t get to create. The other thing is that after a bit, I wanted my students’ projects to become real! That’s the hardest part about a studio project that you really love, your own or a student’s – you wish it could be made real, instead of living in the world of studio. I decided to jump back into practice because my ultimate goal is to still run my own firm. The importance of teaching cannot be overstated, but I feel like I need to be licensed and I need to experience the profession – my best professors were ones that were practicing or that had practiced at some point in their careers. How did you choose Handel as the firm that you wanted to start with? I knew that they were a great firm that had built a lot of complex buildings. As someone graduating from a really theoretical program, and then teaching in it, I wanted to go somewhere where I could learn how to build and work my way through Construction Documents and Construction Administration. I know that going through these experiences will make me a better designer. As someone that is new to practice and to New York City, what does this moment in your career mean to you? For the past year, I’ve had to be extremely elastic and adaptable, in all kinds of ways. Teaching in Rome was a whole new experience – I had never written my own syllabus, I had never lived alone before, and I was in a weird space between students only slightly younger than myself and being seen as too young to befriend the other faculty. There was a lot of difficulty and loneliness related to that which I had to adapt to and manage, and luckily it all slowly changed and worked out. Now I find myself in a new situation again, just six months later, in New York. I luckily know a lot of people, so socially it’s a lot easier, but in terms of my career, it feels like yet another huge change. This is the first time I am experiencing a nine-to-five, or nine-to-seven [laughs] office job. I just came from a position where I had total independence and complete freedom in my schedule – though I was working just as hard and probably just as long. Since my parents are professors, I grew up in that environment too. With working in New York, the first couple of months were all about figuring out how to exist in the rigidity of a schedule. It’s the reality of life and the reality of getting to where I need to get. What have been your biggest challenges throughout? In terms of being a professor, the biggest challenge was that since I simply didn’t have a lot of experience, I didn’t know what to expect. Professor Val Warke for example, is a genius and has been doing this for a long time, so he knows what to expect, how things will play out, and which words to use. Knowing what to expect is a big part of designing a curriculum – you almost have to imagine your end goal first and then work backwards, designing all the steps in between with enough leeway to take all the individual students’ interests into account. This is a huge challenge – there were a lot of nights before class where I would stay up late and rewrite the whole assignment because that day’s studio work wasn’t quite where it needed to be, and I needed to shift how the students were thinking about things. In practice, the biggest challenge is my lack of knowledge. I want to know everything and I want to work on all the different parts and phases of a building, but there are just so many things to learn. Architecture is experience based – you have to go through many case studies of buildings to really understand and get the hang of it, and that takes time. What have been the biggest highlights? The biggest highlight was seeing how much my students grew, whether they were freshman in the 1st Year studio I taught, or the juniors in the Foundations program in Rome. I’m so proud of how adaptable the students were, how willing they were to try things out, and how trusting they were of my process for them. What advice do you have for those wanting to teach? To take whatever opportunity you have to get your foot in the door, because academia is really hard to break in to. My parents always said, ‘If you want to do academia, it doesn’t matter whether the teaching position you get is in the middle of nowhere, take it.” It almost doesn’t matter where you are – wherever you’re teaching, you’re learning so much and you’re building a different kind of portfolio of experience, and skills, and connections. I’m really aware of what I like and what I don’t like and I’m decisive and clear and honest with myself. If I find myself excited about something, or reaching a euphoric feeling, it means I’m moving in the right direction. If I’m not, it means that something has to change, and then I work to change it. That has allowed me to flow with things in a very natural way, and with my main goal to do what I like and to like what I’m doing. Finally, what advice do you have for architecture students? To pay attention to the environment you surround yourself with. Your environment has an unbelievable influence, especially the friends that you’re staying up late with in studio. It also has a lot of clues in what you’re interested in – the interests of the people you surround yourself with and what you talk about is something that’s crucial to pay attention to. What do people talk about that you enjoy? Pay attention to that and trust your gut. Isabel on a personal trip to see Aswan Dam, Egypt, 2018.